PARCA eNews – Sept. 15, 2017 – The FDA issued its final guidance for medical device interoperability on Sept. 6, 2017. The guidance offers insight into what the agency is looking for in terms of safety and effectiveness for medical devices that are connected to each other and to other technology. 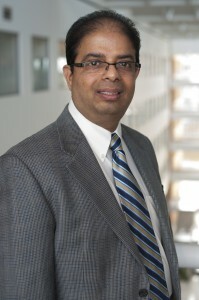 Bakul Patel, associate director for digital health in the FDA’s Center for Devices and Radiological Health told PARCA eNews that the agency’s intention is to promote development and availability of safe and effective interoperable medical devices. “The intention for drafting and finalizing interoperability guidance was due to the growing need and desire to connect medical devices to other products, technologies, and systems in the health care community,” Patel said in an email interview. PARCA eNews – Sept. 13, 2017 – The National Institute of Standards and Technology (NIST) and the National Cybersecurity Center of Excellence (NCCoE) issued a set of guidelines for data integrity and recovering from ransomware and other data breach events. The three-volume guidelines covers all forms of data integrity attacks and includes an executive summary, and addresses approach, architecture, and security characteristics along with "how-to-guides." PARCA eNews – Sept. 13, 2017 – The ONC last week issued its report on connecting public health information systems and Health Information Exchange (HIE) organizations. The purpose of the study was to learn lessons from the field in terms of what works and what challenges remain in terms of how HIEs benefit public health jurisdictions. PARCA eNews – Sept. 13, 2017 – In the wake of hurricanes Harvey, the Office of Civil Rights (OCR) that administers HIPAA, issued a reminder for protection of healthcare information during disasters and recovery. OCR’s guidance reiterated that the HIPAA Security Rule – § 164.308(a)(7) – requires contingency plans to include a data backup plan, disaster recovery plan, and emergency mode operation plan. PARCA eNews –Sept. 20, 2017 – KLAS, the Healthcare IT industry market research organization, issued a new report, "PACS 2017: Reconstructing for the Future" in September 2017. Reports on the market research by Heather Landl of Health Informatics and Subrata Thakar of HealthImaging.com offer similar highlights from the KLAS report. Major vendors Sectra, INFINITT, Carestream and McKesson continue to lead in PACS performance, and maintain great relationships with customers with continuous meaningful updates. 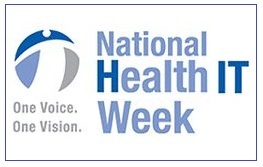 PARCA eNews – Sept. 10, 2017 – As part of National Health IT Week 2017, October 2-6, the Office of the National Coordinator for Health IT (ONC) will be hosting a public discussion of recent advancements in interoperability and usability. This event will be hosted by Principal Deputy National Coordinator for Health IT Genevieve Morris and Deputy Assistant Secretary for Health Technology Reform John Fleming, MD.